The two of us were sharing a moment at the Seattle Four Seasons to chat about Lehtomaki’s elevation to the Head of Animation on Ralph Breaks the Internet, Disney Animation’s first official (non-Pixar) sequel since Fantasia 2000. This meant this once wide-eyed little girl was now, not just living her dream, but now in charge of supervising the creative vision fueling one of the studio’s most ambitious animated endeavors. The follow-up to 2012’s hit Wreck-It Ralph, the sequel finds best friends Ralph (voiced by John C. Reilly) and Vanellope (Sarah Silverman) heading into the crazy, fast-paced world of the Internet in order to find a rare component required to fix the latter’s popular video game console. During their trip they discover a world unlike anything they ever could have imagined, venturing out to online locations as varied as eBay, a YouTube-style video-sharing site, an MMO street racing game, the dark web and even Online Disney. There Vanellope encounters every single one of the classic Disney Princesses ranging from Snow White all the way up to Moana, almost all of them voiced by their original vocal actors wherever possible. 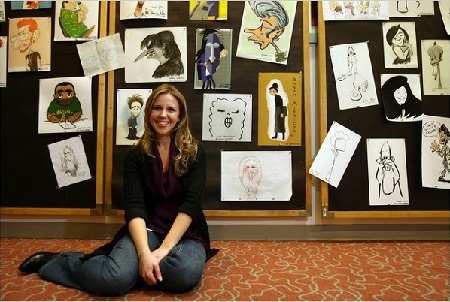 Sara Michelle Fetters: I’m sure you get asked this a lot, but how exactly do you explain your job at Disney Animation to people? Kira Lehtomaki: Oh! I never get tired of that question. I love talking about my job. I feel like everybody tends to think everybody who works in our building [at Disney] is an animator. But we have so many people that work on these films. We have scientists and engineers. You can do anything and work on these films. Sara Michelle Fetters: What’s it like for you, though? I mean, after working as an intern, as an animator, to basically be supervising everybody on this film? Especially on a movie as high profile as Ralph Breaks the Internet? Everybody is so talented. It all kinda runs itself. The great thing about being animation is you get to be a part of the process so early on. I got to be a part of the pre-production. Like, when people are thinking about doing a movie set on the Internet? We get to help envision that. It’s a place we go every single day, but do we really know what it looks like? How do you visualize that in terms of characters and making it this kind of anthropomorphic thing? That was really fun, just the experimentation of figuring out. What is the logic of this world? What does it look like when somebody is going to a site like eBay? What is the real-world equivalent? It’s kind of like an auction house. So it was just figuring out what the visualization of these sorts things are. Then, with the new characters, we get to figure out what their style of movement is. All the net users that are like the avatars of you and me, the everyday people, they have a very robotic quality. We thought of them as the tourists on the internet. So they don’t really know exactly where they’re going, but they’re really being controlled by somebody on the other side of the computer screen so they do have their own initiative. Then, we have the “Netizens,” which are the natural-born citizens of the internet. They’re a little bit in the service industry. They’re there to work at the websites and help the net users get around. They have a lot more fluid animation style and they can zap into little beams of electricity and go along the circuitry in the floor. So it was all about figuring out what makes these two groups distinct. How are they going to move and how is that different between the two of them? Sara Michelle Fetters: What’s this process like for you? When you’re working with the directors, or you’re working with the writers and fleshing all this out? Kira Lehtomaki: It’s really, really fun. We’re doing this concurrently while the writers are figuring out the story. Animation is a big team sport and everything is happening concurrently. We’re off experimenting and doing these fun little tests, and then we get together with the directors and the story team, the visual development artists, and we’d show them what we’d come up with. They’d be like, “Oh, that’s great!” They’ll come back with what they’re thinking about this for the story and how they can incorporate those ideas into the story as well as new avenues based on those ideas for us to explore. Likewise, they tell us what is happening on their end. It is just kind of this amazing collaboration. The directors are brilliant. Rich Moore is a veteran of “The Simpsons.” And he’s an animator, too! We speak the same language. But his timing and comedy is so precise. Phil Johnston, the writer and co-director, he is one of the sweetest and most hilarious people I’ve ever met. He is so creative and he brought so many of his personal life experiences into the film in a really unique way. It was really fun brainstorming with these guys because they come up with amazing ideas. Sara Michelle Fetters: You talk about how much fun it is creating these new characters, these new worlds. But this is a sequel. What’s it like working on characters like Ralph and Vanellope? Characters that are already set? Kira Lehtomaki: Well, with Ralph and Vanellope specifically, we always say that when we get to the end of the first movie [Wreck-It Ralph], it was like, “Now we know how to animate them!” [laughs] But that’s the time that we have to say goodbye. We’re done with them. So, getting to do a sequel? I mean, Disney really hasn’t done an official sequel since Rescuers Down Under and Fantasia 2000. Being able to revisit these characters was a real gift because we were all like, “We know them! We know them!” We were so excited. But Ralph and Vanellope have changed. It’s been six years and they’ve grown. They’re facing a new struggle. So, we really had to dig a little deeper and find new stuff in the both of them to bring forth before we started working on the princesses. Sara Michelle Fetters: And there we wander right into my follow-up question. [laughs] Those Disney princesses, bringing them all – every single one of them – to life? What was that like? Kira Lehtomaki: This was probably the greatest joy of my life. That sequence. When I saw Sleeping Beauty when I was three years old and I knew I wanted to be an animator. The Little Mermaid, too. Those two princesses had a huge impact on my life. To work movie and get to animate the characters that inspired me to be an animator was so crazy! On top of that, we had the original voice actresses come back and voice their characters. Like, Jodi Benson being there was everything for me. She doesn’t know this, but she’s my best friend. [laughs] Maybe she does know this. Who knows? But anyway, it was just a joy. I might have gone home a cried for a second or two that first day. They [the actresses] came in and they recorded their lines. But they’re all pros and they know their characters so well. They actually came and met with the animators. They bring so much of themselves to these characters. If you watch them, you’re like; you’re moving your hand like Ariel! They sound like them and they’ve lived with these characters for so much of their careers that they know them inside and out. We’ve never seen them together interacting like this. I always use Jodi Benson and Paige O’Hara, the voice of Belle, as examples when I talk about this because they’ve been this for so long. Jodi’s been doing this since ‘89 and Paige has been doing this since the early ‘90s, and they’ve done so many Disney things together that they’re friends. Because these characters are so much of them we could ask how their characters relate to one another. They could bring insights into how they relate to each other. Ariel, she wants to know what the people know. Belle is the book-smart princess. They’re going be natural best friends. Ariel’s going to asking all her questions to Belle. Belle’s going to have all the answers and she’s going to be a happy, patient teacher. Ariel is going to be excited learning all of these new and incredible things. You know? Having the authenticity and the insight that those ladies could bring was indispensable. On top of that, and we’re so spoiled, we had the amazing, legendary animator Mark Henn with us. If you don’t know Mark by his name, you do know him by his work. He was the original supervising animator for five of the princesses: Ariel, Belle, Jasmine, Mulan and Tiana. Sara Michelle Fetters: That’s amazing! I didn’t notice that. That’s pretty cool. Kira Lehtomaki: I think one of the former Disney executives called him, “the Julia Roberts of animation.” [laughs] He’s done so many of the leading ladies. He also was our draw-over lead on Frozen for both Anna and Elsa. He’s animated Pocahontas and he’s said that Cinderella was the movie that inspired him to be an animator. He’s incredible. Sara Michelle Fetters: So, if you can’t resurrect one of the “Nine Old Men,” bringing in Mark Henn has to be the second best thing, right? Kira Lehtomaki: Exactly! I love that you know who the Nine Old Me are. You really are a fan. Sara Michelle Fetters: Well, I should probably admit Sleeping Beauty is my favorite Disney movie, too. Couple years ago the Cinerama had a 70mm print. I might have gone to both showings. Kira Lehtomaki: You’ve got excellent taste. Sara Michelle Fetters: But, back to Mark Henn. That had to be so great having them there while you were working on the sequences featuring the princesses. Kira Lehtomaki: Totally. He would be there with us during dailies and each round of animation, and he would do some of the draw-overs. He did a test of Ariel, a hand-drawn piece of animation, for one of the sequences. The Little Mermaid celebrates its 30th anniversary next year, and here I was, standing next to Mark, watching him animate Ariel. It was incredible. But he brought authenticity. He was like, “Mulan. I would always do this for her character,” and then he would just start drawing. He just knows them all inside and out. So, to have the original filmmakers be a part of this process helped us so much and it was so fun. It was just a delight for the Disney fan inside of me. Sara Michelle Fetters: I don’t want to go into it too much as I want to minimize spoilers, but when you all got a look at the finished script, when you finally knew were the story was going, how hard was it to animate that last ten minutes or so? Kira Lehtomaki: Well it wasn’t easy. [laughs] It was so emotional. We’ve lived with Ralph and Vanellope for so long. Sara Michelle Fetters: I mean, this ultimately ends up being a story about being able to let go. About the ways friendships must change, deepen and evolve if they are going to continue to grow. That’s inherently emotional, isn’t it? Kira Lehtomaki: It is. You’re exactly right. That’s the thing, the thing that I love about the movie. There’s a core message that it is about something real. About something pure. The Internet is glorious and fun, and it was great fun to imagine and visualize, but there’s a reason you’re watching this movie. It’s these characters. It’s Ralph and Vanellope. There’s something that is relatable that we all go through, that we all can relate to, no matter where you’re from or what your background is. Friendships and relationships, they evolve and they change. The question always is, how do you deal with that? In animation, we often film references of ourselves or act it out ourselves. When we’re doing these things, we’re thinking of our own life experiences. There’s so much of us in this movie. Hopefully you don’t see us, but it resonates because it’s real. Sara Michelle Fetters: How does all this fit together? I mean, you go from being a wide-eyed three-year-old who wants to grow up to be an animator sending letters to Mary Costa to going to the University of Washington and getting a computer science degree. Sara Michelle Fetters: Well, us Dawgs, we have to stick together. It’s a strange story, though. Everything in my life I did to work at Disney. But my dad is an electrical engineer and my mom is a chemist. They’re very supportive of whatever I want to do. But the world of art was very foreign to them. When I was looking to go to college, CG animation had taken over the industry. My dad had a coworker whose nephew worked at Disney. So, like many high schoolers do, I get that contact of a friend of a friend of a friend and email them. I emailed this guy and I said I wanted to work at Disney, what should I do? Now, he wasn’t an animator, but he worked at Disney. I was like, I wanna be where you’re at. He gave me great advice. But one of the pieces of advice that he gave me was crystal clear: You should learn the computer. Which was so true. But you translate that into my family. It was like, you should learn the computer? Okay. Computer science. I went to U-Dub and it was a great experience. I learned so much. I think computer science taught me how to problem solve. Even if I’m not coding every single day, the principles I learned are invaluable. Also, when I was at U-dub I was writing algorithms. Now I’m animating them! How crazy is that? It all came together. It all went full circle. Also? Truth is stranger than fiction? It turns out the guy that I emailed in high school; he’s the head of layout and cinematography on Ralph Breaks the Internet. It’s a small world after all. Sara Michelle Fetters: You don’t want us to start singing now, do you? Because now that song is going to be stuck in my head the rest of the day. Seriously, work at Disney. Just imagine all the songs that keep getting stuck in my head every day. Sara Michelle Fetters: Exactly. And, I mean, there’s obviously going to be some hand-drawn sequences in Mary Poppins Returns. Kira Lehtomaki: I’m so excited for that one. I haven’t seen it yet but the buzz is at Disney right now is that it’s pretty great. Sara Michelle Fetters: But are we going to get another hand-drawn animated feature anytime soon? That’s such a huge part of the Disney legacy. You could even say the studio was founded all thanks to the power of hand drawn animation. Heck, the reason we’re here is because of your love for Sleeping Beauty and the inspiration you drew from that film to become a Disney animator yourself. Kira Lehtomaki: Well, let me just say in this movie there is hand-drawn animation. There’s some really, really choice Easter Eggs. I don’t know if you noticed them, but there’s one specifically from my favorite Disney short, called In the Bag. Anyway. It’s amazing. But, yeah, I think right now, on this movie, it was such a collaboration. Knowsmore, our character Knowsmore, his eyes and the refraction in his glasses, those are all hand-drawn. That’s not digital. He’s a CG character, but that’s hand-drawn. We have that kind of collaboration throughout. We’re a director-led studio. So if there is a story that the best medium to tell that story in is hand-drawn, we’ll do it. I don’t know what the future holds, but hand-drawn animation is what made me fall in love with animation. That’s why I wanted to do what I’m doing. I’m very thankful for CG because it’s allowed me to be at Disney. But there’s nothing like watching a hand-drawn animated movie on the screen. So will we make another feature sometime soon? I hope so. I definitely hope so. 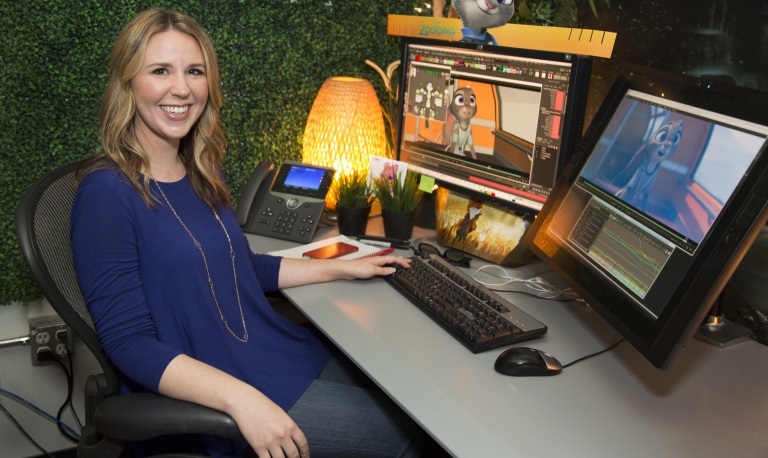 Sara Michelle Fetters: For you personally, what did the experience of working on Ralph Breaks the Internet mean to you? Kira Lehtomaki: This movie was a very personal one for me. I think it is a culmination of so many dreams come true. 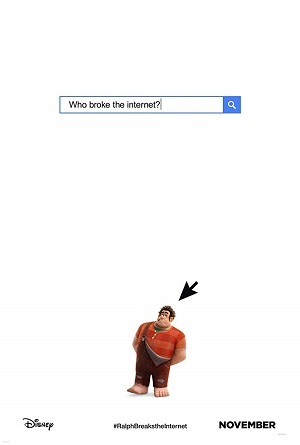 I loved working on the first Wreck-It Ralph. It was really great. When I signed up for the movie, it was like, I get to work with Ralph and Vanellope again. Phil Johnston’s great. The animators. The whole team who the draw and shape these characters, they are all really fun. I love being around them. I mean, I hope the rest of the world enjoys Ralph Breaks the Internet, but this movie might’ve been made just for me. I literally was sitting at the premiere just pinching myself. I’m kind of overwhelmed that this is my reality. From a film standpoint, I’m really thankful the core message is about friendship and that there’s a self-sacrificial element to what happens. You can’t place all your hope and trust in another person, but you can continue to love and support them no matter what. Friendships change and evolve, and that’s okay. I feel like there’s just something really relatable and something that kids can understand about that. Something that adults can understand, too. I hope audiences love this movie and really are able to identify what true friendship is. What true friendship means. Who is your true friend? Where do you find your worth? How do you both see one another? Those are big, complicated questions but ones I think need to be asked. In the end it’s important to know who the people who really care about you and know they are there for you, that they will always be there for you. No matter if you’re close or far away, they’ll be there. So that’s what I’ll take away with me after working on Ralph Breaks the Internet. All of that and the fact I got to help animate Princess Aurora, Sleeping Beauty herself, too. My three-year-old self is going to be giddy about that for a very, very long time.